Because He died for me, I will live for Him. I have placed Him into each and every hurt I have…May my story, my life, reflect Him. May the difficulties with relationships, misunderstandings, child sharing, child raising, financial issues, family issues, point to Him in my life. May I never be a stumbling block, but an example of a heart willing to do anything for Jesus, because of what He did for me. May people look back one day and think “I know she loved Jesus” and may everything else fall to the wayside. May the tears we shed reflect hearts that hurt, not hearts that want to hurt others. May the chaos fade and the coasts clear. May my girls and friends and family know that peace and love is all I’ve ever wanted to give. May I lift up His cross every day of my life. For a girl who grew up questioning love, living loved is a phenomenon. Learning about and growing aware of God’s love for me is a continuous life changer. His love allows me the freedom to speak. To feel. To let go of perfection. To walk away. To walk towards. To be me. To really live. When we question love, we seek constant approval from others. Constantly wondering “Do they love me?”, “Did I do something wrong?”, “Did I say something wrong?” We latch onto those who don’t show us love and try to change their minds or squeeze it out of them. Thinking if they do, we will have proved our “lovability”. This leads to a prison of pain that the devil wants nothing more than to keep us locked away in. Constantly seeking love. Jesus’s unfailing love turns the key to this prison, wraps us up, feeds us, and slowly but surely and consistently loves us back to life. In turn, we long for others to feel this new love we have in our heart. This love that warms and reassures our questioning hearts like never before. 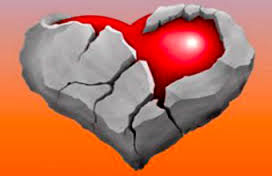 I used to think a “heart of stone” meant only apathetic, unloving, uncaring, mean. A hard heart. While, no doubt, God’s love can soften a heart like this and turn it completely around. My “heart of stone” felt opposite. It felt too soft. Hurt and scared. Unloved, desperate, clueless, unaware of this Great Love just yearning for me to take notice and strengthen it. To feel it. To live in it. To immerse my thirsty heart in this unending and unexplainable love. Living aware of His love changes everything! Remember this when you feel rejected or abandoned. He’s still right there. He never left. He’ll never leave. He loves you more than any human being ever has, ever could, or ever will. God’s love will soften and strengthen our hearts of stone. He will turn them into hearts of flesh filled with His Spirit. Are you thirsty? Hard? Soft? Hurt? Consider the Ultimate Source. His love is the source of unquenchable love we seek. Our desperate (stony) hearts looking high and low for acceptance and approval can rest easy and come to life in His love. Soak it in, squeeze it out by sharing with others, and go for another soak. Live loved today and every day. Because you are. I was reminded today, ever so blatantly, of the brokenness in this world. Today, the tears flowed with nowhere else to go but down. Remember, that most of us have been broken by the loss of a loved one, a marriage, a childhood, a family member, or an illness. There are countless ways we may feel broken. This great sense of loss will change a person. 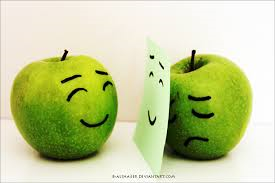 Behind the smiles, you may not know what people are going through or have been through. Be mindful that others may have been touched by tragedy. Think twice before you envy someone’s seemingly “perfect” life. Remember, that brokenness is a part of this life…only. Yes, there are blessings to be found in brokenness. Yes, finding out that God has never nor will ever forsake us is the ultimate blessing we discover in our trials. But, that doesn’t mean the pain isn’t real. Our human race was broken in the Garden of Eden. The shame, guilt, grief, and separation from God is still evident in our brokenness today. Our souls long to be complete in Him. Cultivating a relationship with God does not guarantee we won’t be broken again, but it does show us where to turn when we are. It reminds us that He is still in control and keeps us ever homesick for heaven. Open your eyes and hearts to others around you. Be aware that there has been pain behind their smiles. Pain is increasingly evident in this world. Today, I was at a loss for words. I couldn’t encourage, all I could do was empathize with and feel the pain and loss. We are called to be the hands and feet of Jesus….there are times when this simply means lending an ear and following up with a heartfelt “I’m so sorry”. Sometimes there are no words, answers, or clichés to relieve the pain. There are times we just have to feel it, let it roll down our cheeks, and pray for comfort. I do believe it’s better to feel it than deny it. To honestly feel it allows for healing and growth. Yearning for heaven where our hearts and circles will be forever unbroken.